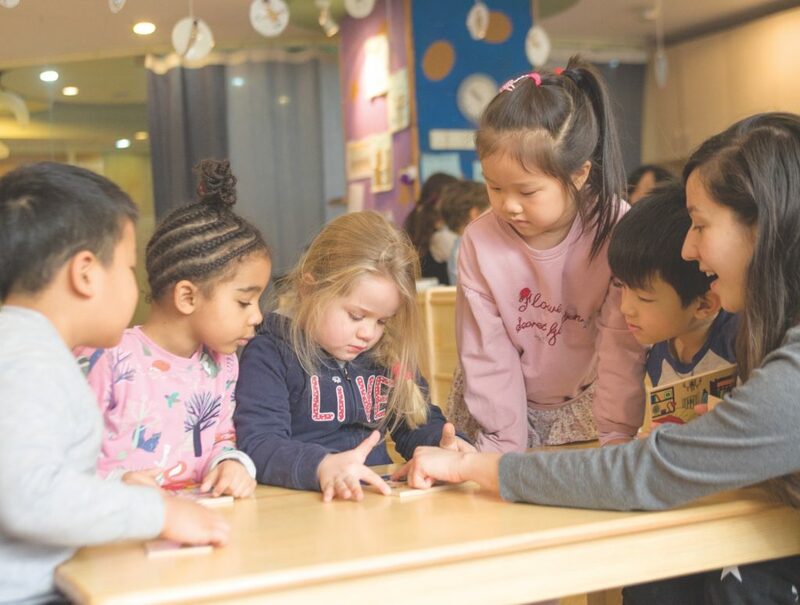 Curriculum description: Thanks to its pedagogy, based on a one teacher – one language approach, each child considers the three languages as mother tongues and has the assets to keep up with any English, French, or Chinese educational system. Total area (in sqm): 1200sqm at the Dongzhimen location and 200sqm at the French International School Beijing location. Facilities: Four classrooms located on two floors with different games and activities areas, child-sized lavatories on each level, an art room, a basketball court, playground, playroom, administrative office, meeting room, and the school nurse’s office. Lunch fee: RMB 1,000 (5 days a week), RMB 820 (4 days a week), RMB 630 (3 days a week), RMB 400 (2 days a week).